Are you craving a donut? Well, you probably are now! We had an extra tube of Cinnamon Rolls, specifically the Maple brown sugar kind, but didn’t want to wait like 20 minutes. 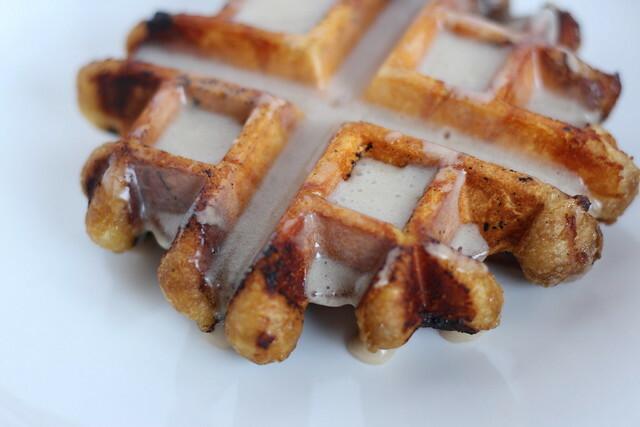 The waffle iron was already out so we thought, go for it! These literally take 3 minutes and are freaking delicious. Cinna-Waffle? Waffle-bun? Just put it in my mouth?! Just eat it. You’ll be so happy.